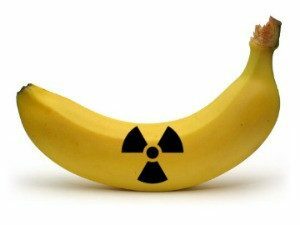 The nuclear industry often compares the radioactive wastes produced inside reactors with naturally-occurring radioactive elements like potassium-40 which is found in bananas. This disinformation is deliberately used to give the impression that consuming radiation is normal. “But this is a false comparison, since most naturally occurring long-lived radioactive elements, commonly found in Earth’s crust, are very weakly radioactive,” explains Dr. Steven Starr, the Director of the Clinical Laboratory Science Program at the University of Missouri. “Note that potassium-40 has a specific activity [radioactive strength] of 71 ten-millionths of a curie per gram. Compare that to 88 curies per gram for cesium-137, and 140 curies per gram for strontium-90 [both created inside nuclear reactors]. In other words, cesium-137 is 12 million times more radioactive than potassium-40…. 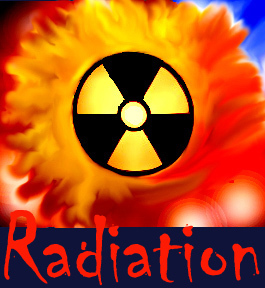 Strontium-90 releases almost 20 million times more radiation per unit mass than potassium-40. Which one of these would you rather have in your bananas?” — Steven Starr, “The Contamination of Japan with Radioactive Cesium,” in Crisis Without End, edited by Helen Caldicott, The New Press 2014, p. 46. With five works of fiction under her belt, novelist Gwyneth Cravens makes a case for nuclear power as a way to fight climate change in “Power to Save the World: The Truth About Nuclear Energy” (2007). The old fiction that nuclear power is safe and cool is presented her online PowerPoint lecture where Cravens lists items that convinced her to quit anti-nuclear work. The list is either an industry PR gimmick or just bad math, or both, but Cravens’ powerless points are easily rebutted. This claim gives the impression of low price and easy access to uranium. The International Atomic Energy Agency reports that the world faces uranium deficits between 2025 and 2035. This means the price goes up. The “politically favorable” spots for uranium mining are all overseas (ending hope of energy independence). Kazakhstan mines the most uranium — 24 times the US volume; Canada, 14 times the US; Australia, six times the US. Even with the Trump cabinet’s de-regulation- and pollution-happy agenda, the US must clean up from past uranium mining. There are now 15,000 abandoned uranium mines and mills in the American Southwest, mostly located on Indian Land. Uranium mine and mill tailings have been left in the open air of the desert — 190 million metric tons of them — so wind and rain spread the contamination. If this were factual, if “recycling” waste reactor fuel was being done for a profit anywhere, the industry would be gobbling up the money at factories everywhere. Formally known as reprocessing (the PR dept. 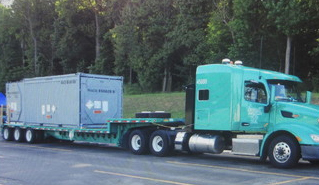 dubbed it “recycling”), was abandoned in the United States after decades of expensive, dangerous attempts. The process produces huge quantities of highly radioactive liquid wastes that can’t be contained, the sort that is leaking from hundreds of tanks at Hanford, Washington, and Savannah River, South Carolina. “Recycling” is being done by France, but only because a legal loophole allows the factory to pour one million liters (264,000 gallons) of liquid radioactive waste per day into the Irish Sea from its reprocessing. Studies by Dr. Chris Busby in England show that the dumped radioactive materials accumulating on local beaches have caused cancer in Irish children. Nuclear power is mature alright. Most of the 447 reactors in the world are around 40 years old and near the end of their operational life. They provide about 6% of the world’s electricity. But scientists say that to have a minimum impact on climate change — and this is the whole point of Craven’s tour — nuclear would have to be 20% of the energy mix. This means that after today’s units are replaced, an additional 1,600 reactors need to be built — to get to 20%, not 6%. But this requires that three new reactors be built every 30 days for 40 years — and by that time climate change will have done its damage to us. “Inherently safe” reactors are unknown and untested except on drawing boards. Not one has been built. 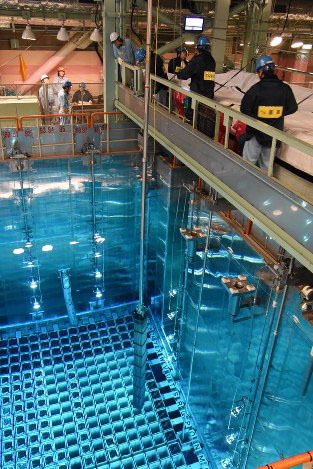 The dream of “burning up nuclear waste” hasn’t been demonstrated anywhere. Besides, the burning of waste adds heat, soot and ash to global warming. This is a verbal magic trick, helping distract the audience. What the word “capacity” distracts from is that nuclear reactors are about 33 percent “efficient,” according to the Union of Concerned Scientists. This means that “for every three units of thermal energy generated by the reactor core, one unit of electrical energy goes out to the grid and two units of waste heat go into the environment.” The gargantuan use of water by nuclear reactors is a problem that most people don’t realize. Dr. Jeremy Rifkin, the renowned economist, notes that 40% of all the fresh water consumed in France each year goes to cooling its nuclear reactors. “When it comes back it’s heated and it’s dehydrating and threatening our agriculture and ecosystems. We don’t have the water, and this is true all over the world,” Rifkin said in 2013. The US Energy Information Administration says, “Most power plants do not operate a full capacity every hour of every day of the year.” Reactors are routinely shut down for re-fueling, for replacement of worn-out parts, and for “unusual events” and accidents. The risk of catastrophic reactor disasters is permanent and makes us permanently unsafe. Dismantling and shipping the Three Mile Island reactor, destroyed in 1979, took over 25 years. The Chernobyl reactor has been in cover-up mode for 30 years, contaminating land, water, and air ever since 1986. Whenever wildfires ravage the “exclusion zone,” they re-suspend radioactive fallout spreading it again and again. 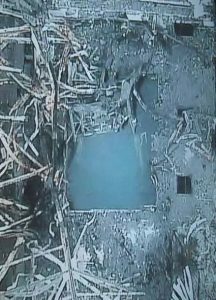 Fukushima, Japan’s three destroyed reactors will continue to poison the Pacific Ocean ever day until groundwater stops moving; the owners will be at least 40 years in the “clean-up” mode. Even without such reactor catastrophes, federal agencies in the United States all warn that there is “no safe exposure to radiation.” Every dose, no matter how small, carries a risk of causing illness or cancer, and the risks are far higher for women girls and infants than for men. Since nuclear reactors can’t operate without continuously venting and pouring radioactively contaminated liquids and gases (from the core, from cooling water circulation systems, and from the waste fuel cooling pools) into the environment, the government has set “allowable” limits to this radioactive pollution of the water and air. The industry calls these limits “safe” but in fact they are all dangerous and merely “allowable.” This venting and pouring of radioactive gases and liquids from operating reactors has caused the spike in childhood leukemias and infant mortality in communities downwind from operating reactors, as documented in studies in Germany, Sweden, The Netherlands and the United States. The German studies were so convincing that the country decided to close all its 17 reactors by 2022. This claim ignores the mining, milling, processing, and fuel fabrication of uranium; the production of vast amounts of concrete and steel for reactors; and the vast quantities of cold water returned hot to oceans, lakes and rivers. It neglects to mention the acreage needed to transport, isolate, and manage 70,000 to 140,000 tons of highly radioactive waste fuel for up to one-million years, and the thousands of square miles of ordinary landfill space taken up by low- and intermediate level radioactive wastes. 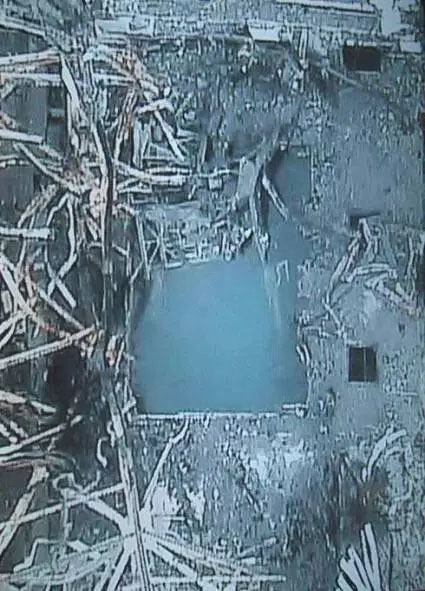 The New York Times’ Andrew Revkin debunked this absurdity in 2013 in a review of the pro-nuclear propaganda film “Pandora’s Promise.” Revkin wrote that the film “includes an interview in which the novelist Gwyneth Cravens claims that drinking one day’s tritium leakage from the Vermont Yankee plant in 2010 would have deposited no more radiation inside someone than eating one banana. Actually, it would have delivered about 150,000 times that much, calculates Ed Lyman.” A physicist, Dr. Lyman is the senior scientist with the Union of Concerned Scientists and co-author of “Fukushima: The Story of a Nuclear Disaster” (The New Press, 2014). Cravens’ one banana’s worth of “emissions per year” overlooks the 400-500 pounds of plutonium created annually in the reactor core. This material and other fission products emit heat and radiation for 240,000 years, and must be isolated from the environment for at least that long. Craven’s banana emission hooey also neglects the millions of tons of reactor-heated cooling water that is dumped back into rivers, lakes and oceans after being used to cool the reactor cores and tons of waste fuel in cooling pools. Anyone who’s spent even a month looking at US electric power usage knows that conservation and efficiency have the lowest environmental impact of any large-scale producer. Dubbed “NegaWatts” by the Amory Lovins of the Rocky Mountain Institute, conserving electricity can eliminate over 1/3 of current US usage. The IAEA reported in 2014, that “avoided energy” or NegaWatts — the difference between the amount actually used each year and the amount that would have been used had there been no conservation since 1974 — is now equivalent to two-thirds of annual consumption. That is almost as much as the world’s output of oil, gas and coal combined, The Economist reported.